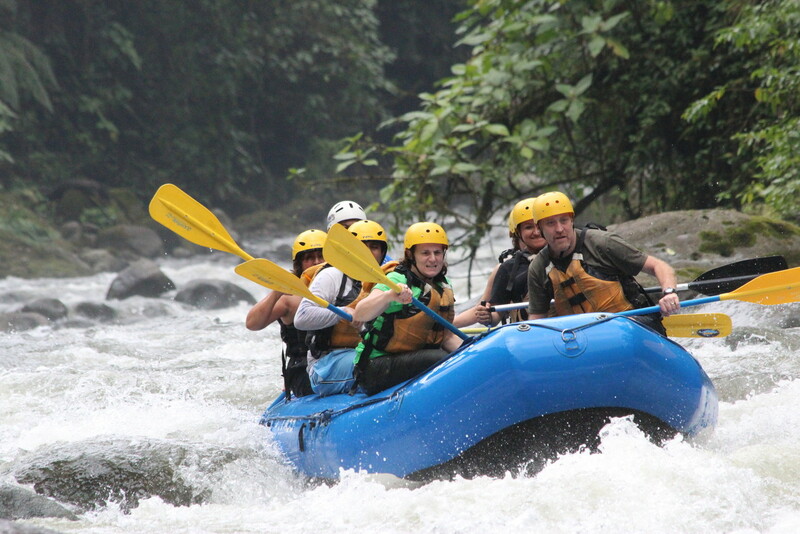 This exciting day long tour allows you to live out an unforgettable experience. 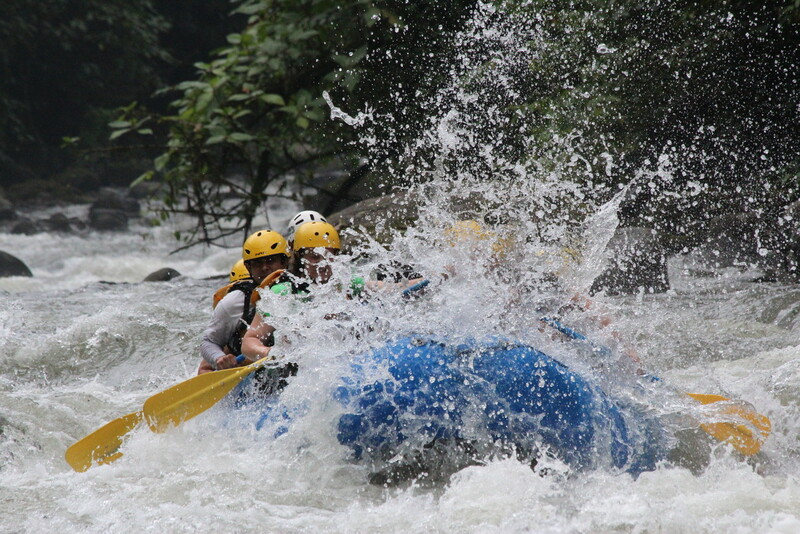 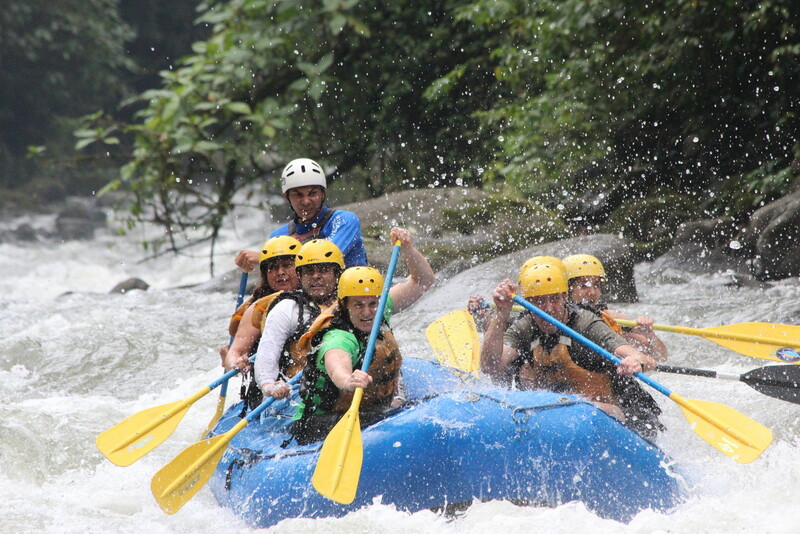 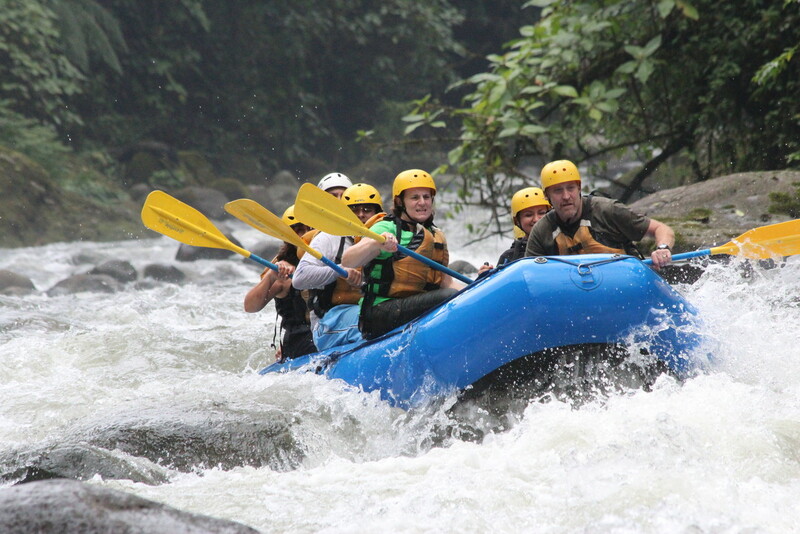 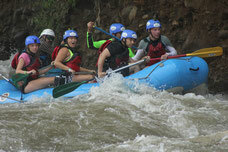 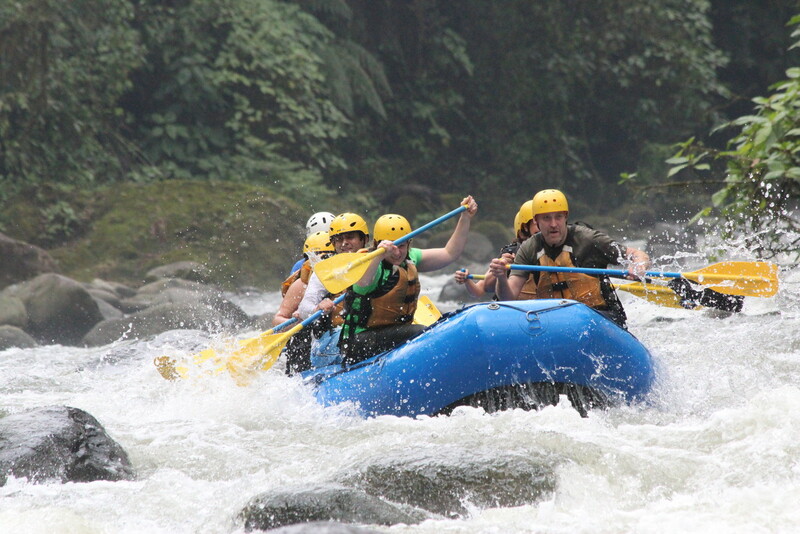 The tour includes high-quality top-of-the-line rafting and safety equipment, as well as excellent expert guides. 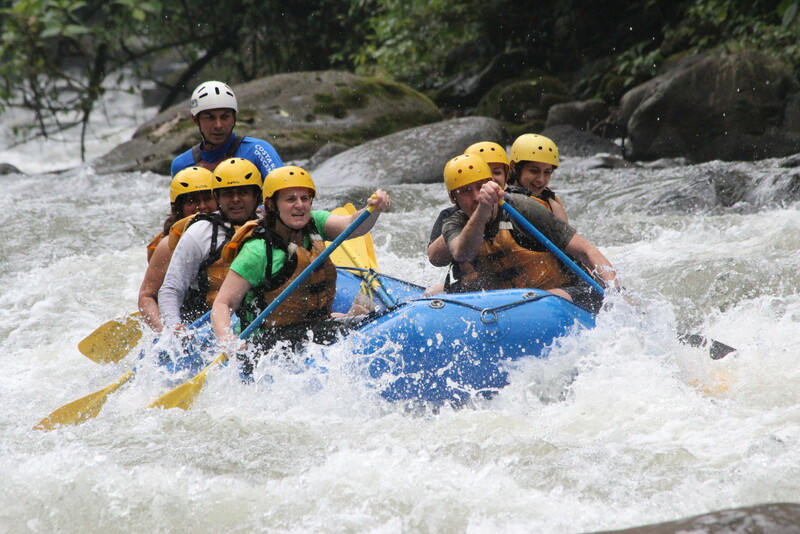 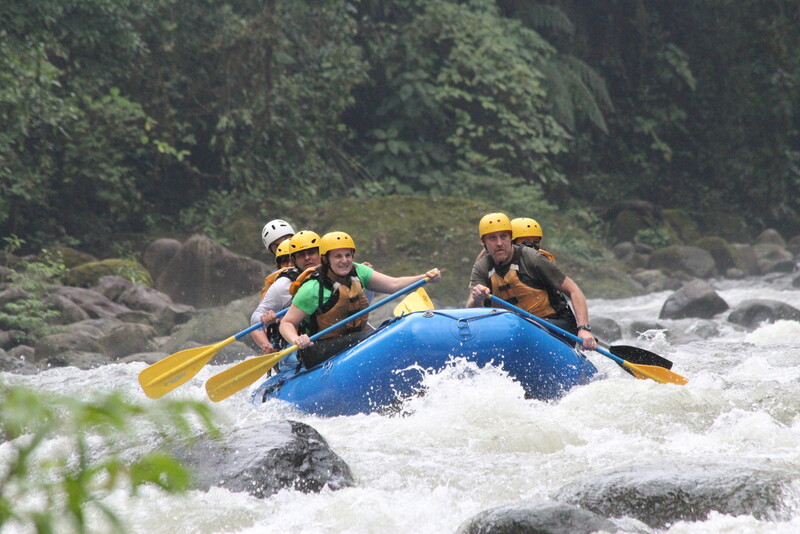 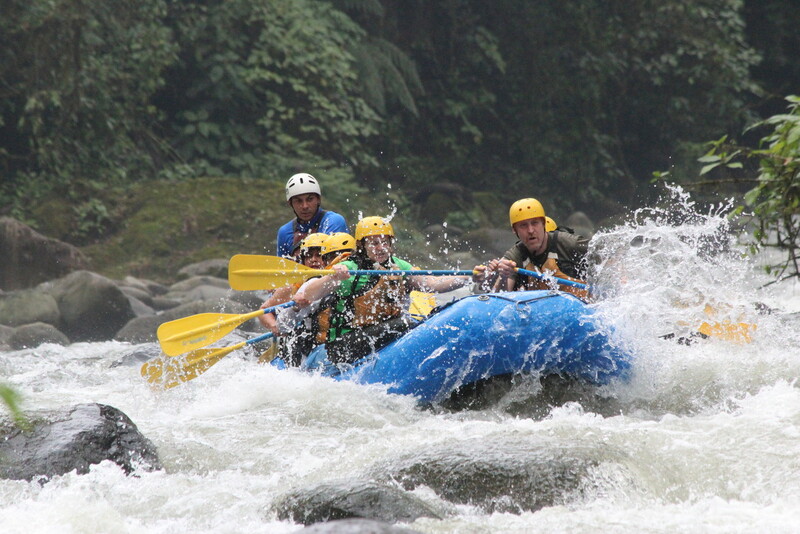 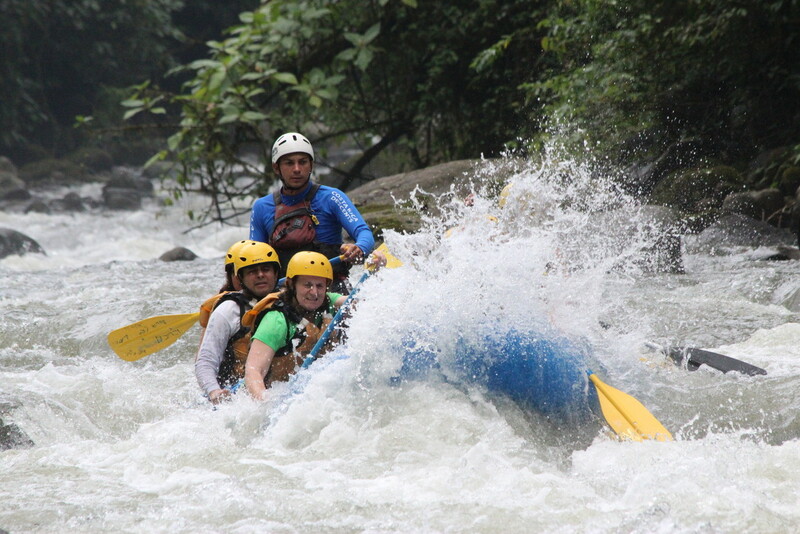 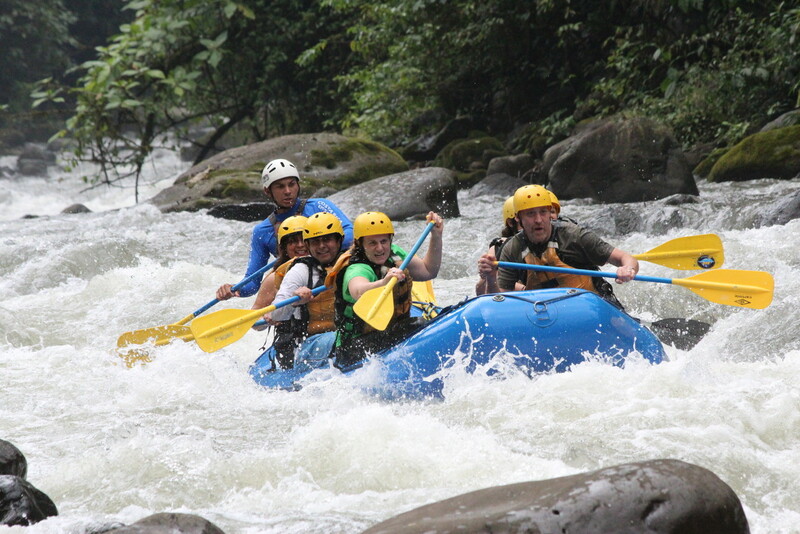 Only 45 minutes from La Fortuna and Arenal Volcano you can experience the adventure of descending the rapids of the Class III & IV sections—the most exciting and adventurous—of the Balsa River. 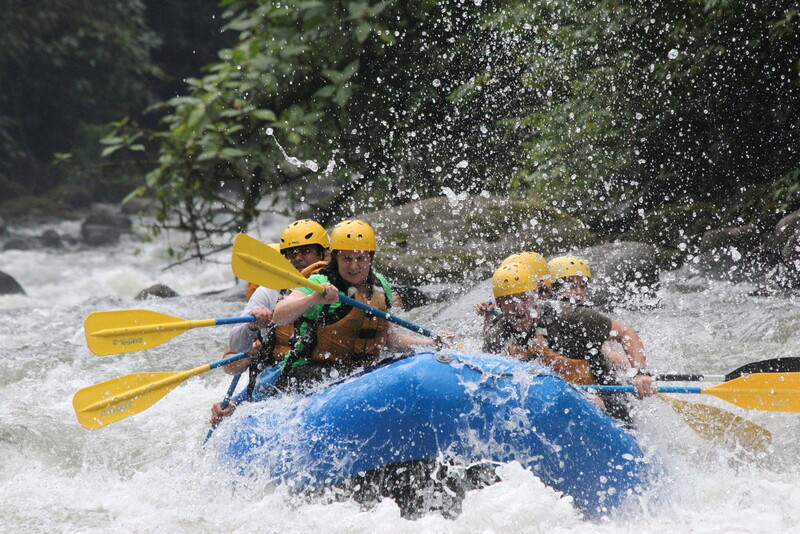 Previous experience is not required, but you should be in good condition and willing to give it your all! 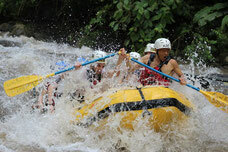 The tour includes equipment in great shape and expert guides who will make sure you have an adrenaline packed day. 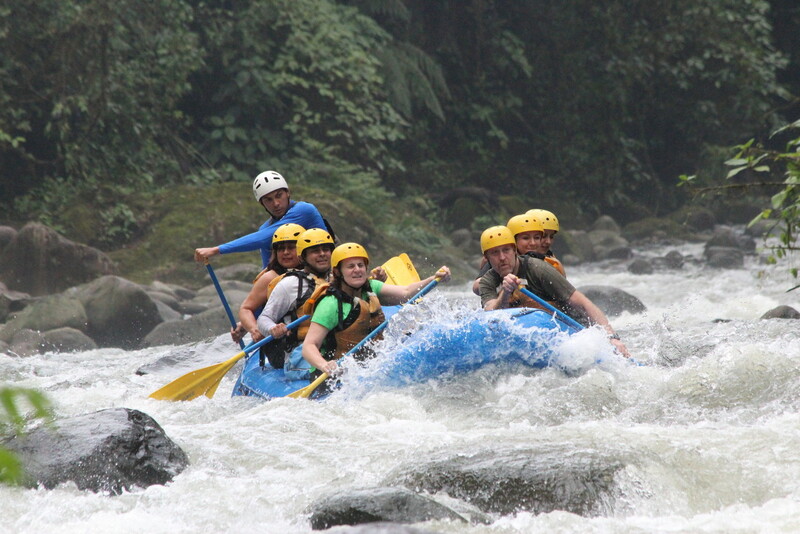 Surrounded by nature on the Balsa River this makes for the ideal location for a rafting tour in the area around La Fortuna and Arenal Volcano. 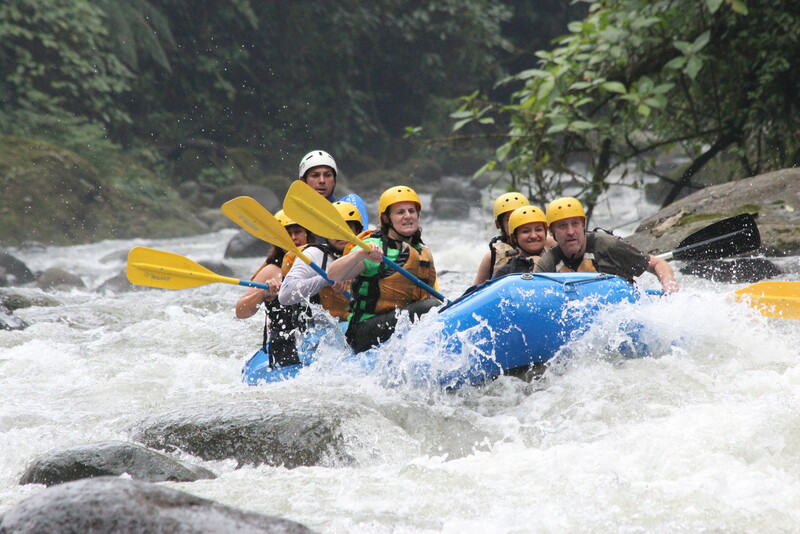 Don’t miss out on a trip down the Balsa River with its fast flowing water, big waves, and breathtaking views; on the way to the river you’ll also enjoy sights of agricultural plantations of pineapple, papaya, and cassava (yuca), among other plants. 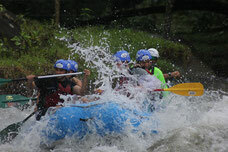 We pick you up in your hotel at Arenal Volcano area, please let us know the name to give you the exactly pick up time. 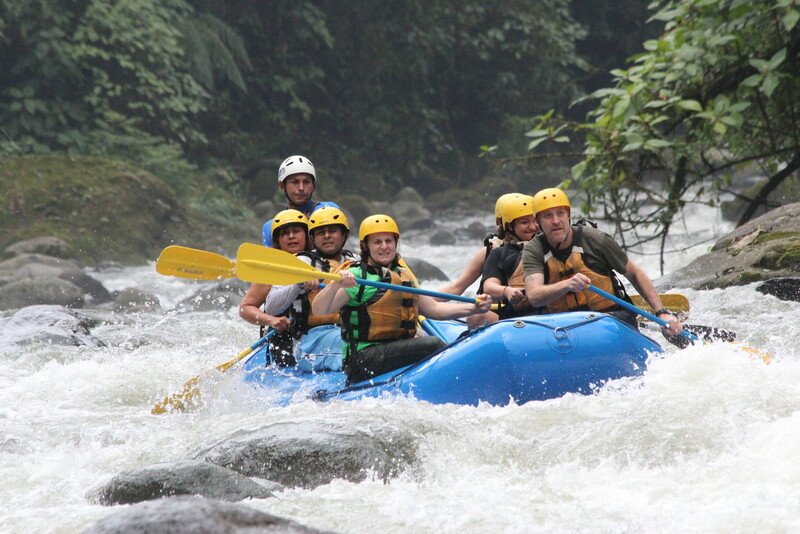 - Delicious traditional lunch - Transportation - Bilingual guides - Tropical fruit - Professional equipment. 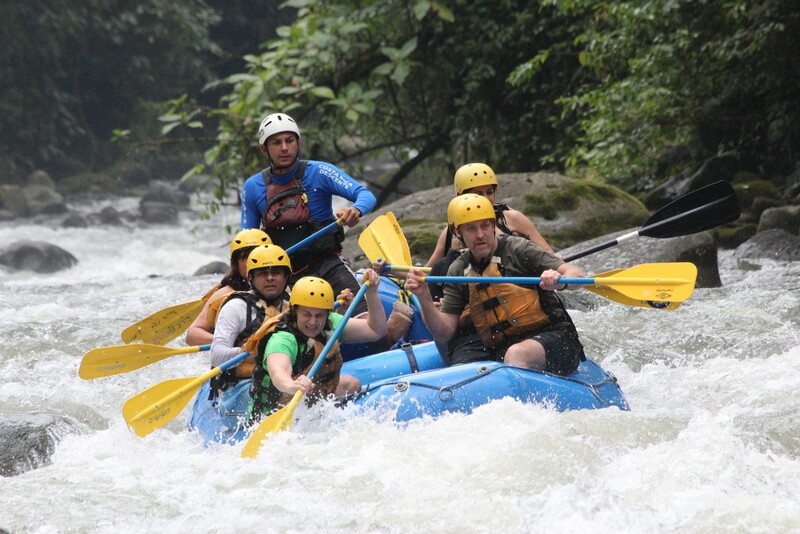 - Simple dry clothing, such as shorts and a t-shirt - Swimsuit - Sunscreen - Shoes that will stay on your feet - sport sandals and water shoes are recommended- a change of clothing - Towel.